From the bicycle-friendly city of Davis, California, to the same in Golden, Colorado School of Mines’ (CSM) student, Maito Okamoto, is experiencing what it’s like to live in a different state as well as what it’s like to attend an engineering-exclusive school. Maito is a second generation immigrant from Japan. His first language was Japanese, but he learned English when he started school. Although the cultural diversity in Colorado isn’t as vast as California, Maito is settling in. He’s the third member of his family to attend college in Colorado. Baseline is pleased to have him interning in our Civil Engineering division. Taking his first physics course, Maito switched from his original ambition of being an architect. He realized that he was more interested in the engineering aspect of everyday infrastructure. In order to be focused on civil engineering, he chose to attend CSM. However, it wasn’t easy. There was a period when he struggled to figure out what he wanted to pursue. Maito is now happy with his direction and is considering graduate school after he finishes his bachelor’s degree. 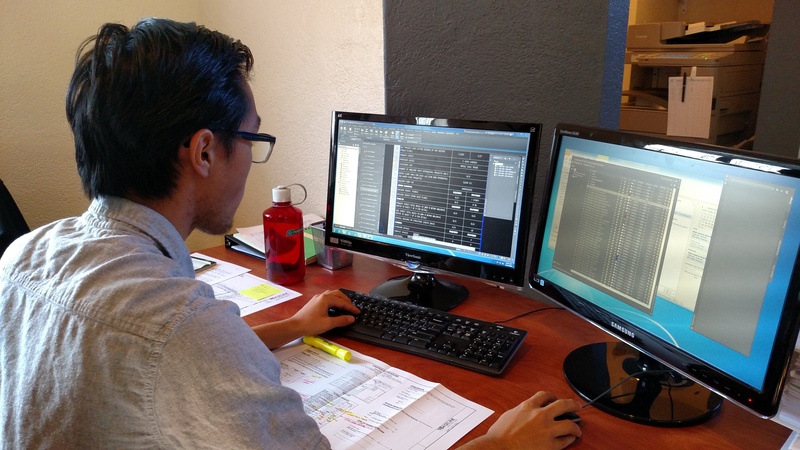 Through his Baseline internship, Maito is learning about land development and gaining proficiency in AutoCAD Civil 3D, a staple for civil engineers. While Maito’s main focus is to assist the staff engineers in drafting plans, he also experiences much of what a graduate engineer does every day. Land development engineers need to master a wide variety of skills and subject matter–from everyday office tasks, such as publishing and preparing submittals, all the way up to hydraulic and hydrologic system design. Whenever possible, the Civil Engineering division encourages Maito to take on new challenges as well as expand his professional and engineering capabilities. When Maito isn’t working at Baseline or hitting the books at CSM, he plays soccer, draws and is learning how to boulder from the influence of his twin brother.